&###xA0; Forge Motorsport for innovation, clever design and high quality products. Temple Tuning Ltd - proud to be Authorised Dealers. Supplying car parts to trade and public since 2004. 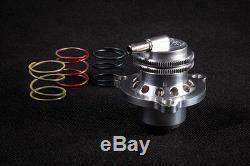 Forge Direct Fit Piston Blow Off Valve FMDVK04SA for Astra VXR J MK6 2.0 Turbo. Direct Fit Piston Blow Off Valve with Tuning Springs FMDVK04SA. Astra VXR J MK6 2.0 Turbo. 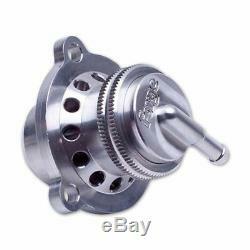 This is a piston design bypass valve that is a direct replacement for the original fitment. This valve gives greater longevity than the diaphragm (OEM) valves but also benefits from its ability to be fitted with different springs when the boost pressure has been increased or the engine has been modified. To ease installation the top or vacuum connection is angled. In The Box: 1 x FMDVK04SA Valve 1 x Uprated Yellow Spring 1 x Uprated Blue Spring 1 x Uprated Red Spring 1 x Forge Sticker. All we ask is that the item comes back to us in its original condition with all the&###xA0;manufacturers packaging and that it has not been fitted to the vehicle or greased. To return an item that that you have changed your mind about or ordered by mistake simply follow these steps. Select Return this item from the More actions dropdown menu on the right. Select Reason for Return: &###x2018;ordered by mistake&##x2019. We will then advise of the best way to proceed. Customer service is important to us. For International customers we will make arrangements to re-imburse return costs if there is a manufacture defect or error is ours. To ensure that we offer excellent service we only use reputable carriers to send our items. Forge Motorsport was founded in 1996&###xA0;with the simple ideals of innovation, clever design, and manufacturing to the highest quality. Our mantra is the&###xA0; BEST &###xA0;customer care and after service worldwide. &###xA0;In doing this, we have developed the largest range of replacement aftermarket valves, intercoolers, and actuators in the world. Utilising a state of the art in house CNC machine shop, and a highly skilled team of dedicated engineers and fabricators, we supply Forge branded product worldwide, &###xA0;to our sister companies Forge USA in Orlando, and Forge Asia in Taichung Taiwan. Proudly stating&###xA0;'Made In Great Britain' &###xA0;on all our products. With all this knowledge at our disposal, we are honoured to supply the leading names and race teams in the world of Motorsport including: F1, WRC, Rally X, and Le Mans. We also supply several OEM manufacturers. We offer a lifetime customer service on all our products with a no hassle service promise. You can be sure these products are.. At Temple Tuning Ltd we know a thing or two about great customer service. We are registered with Companies House and VAT registered. We have been supplying car parts to public and trade since 2004 making us one of the longest serving internet providers. Shopping with us is safe, easy and reliable. Temple Tuning Ltd consistently receives. Forge Motorsport warrant this product against manufacturing defect but accept no liability for any loss, damage or injury arising as a consequence of installation, failure. Temple Tuning Ltd also do not accept&###xA0;liability for any loss, damage or injury arising as a consequence of installation or failure when using Forge Motorsport products. Forge Motorsport are one of the largest manufacturers of aftermarket turbo accessories, bringing cutting edge design and the highest quality to our product line, we strive every day to bring excellence to our customers. Sometimes, things can go wrong and we want YOU the customer to know you will be looked after beyond any level of customer service you have ever experienced before. If your Forge product fails or breaks due to a manufacturing issue or defect, we will repair or replace, at no charge to the customer at our discretion. This service will only be carried out IF the Forge product is still in its original unchanged design condition and the item/product has not been modified or changed in anyway. The item "Forge Direct Fit Piston Blow Off Valve FMDVK04SA for Astra VXR J MK6 2.0 Turbo" is in sale since Tuesday, October 18, 2016. This item is in the category "Vehicle Parts & Accessories\Car Tuning & Styling\Engine, Tuning & Chips\Other Engine Tuning". 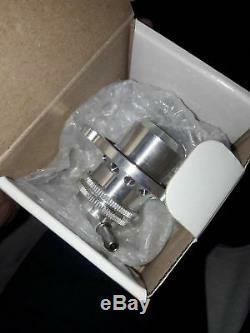 The seller is "templetuning" and is located in Bristol. This item can be shipped to all countries in Europe, United States, Japan, Canada, Australia.